The best team to call! 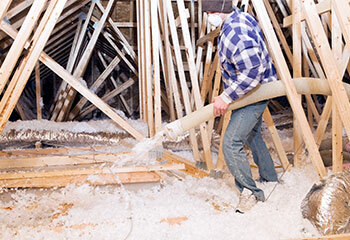 For questions about your home's attic, we're the team you should call. We guarantee you the best cleaning and the finest top-quality insulation at the most affordable prices in town. Scroll down below to check out some of our latest projects! Our Solution: The biggest air leaks were the cavities behind and under knee walls, so we plugged those first. Then we sealed the opening around the chimney and finished by sealing smaller openings: the holes for plumbing and pipes and wiring holes. Customer Issue: Rodent Infestation. Our Solution: First, we needed to seal even the tiniest entry points so the pests would stay out for good. Then, we removed rodent droppings and replaced the soiled insulation. Finally, we cleaned and decontaminated the attic. 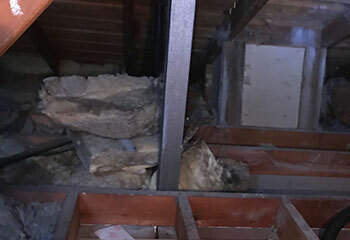 Customer Issue: Needed to get rid of squirrels and rodents in his attic. 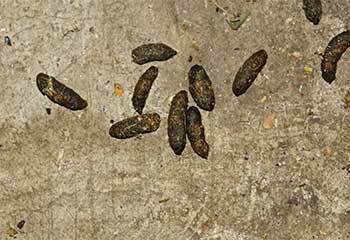 Our Solution: We set traps and rodent proofed the customer's attic in accordance with all applicable regulations, and then removed the traps a week later. 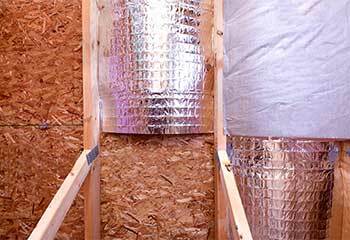 Contact our team for fast, dependable attic-related services at the most affordable prices in Thousand Oaks. Customer Issue: Needed insulation to his new construction. Our Solution: Our team prepped and then sprayed new foam insulation to cover the customer's entire attic. 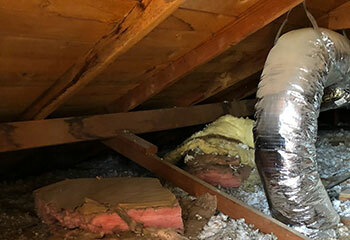 For top quality service and 100% guaranteed satisfaction, contact our team today and get the finest attic-related services at affordable prices. Customer Issue: Excessively high heating and cooling bills. Our Solution: We installed new ultra reflective radiant barrier material that reflects the heat that was building up in the customer's attic. Contact our team for the finest attic-related services in town.